Check out our Facebook & Twitter! ﻿﻿The﻿ Oriole Advocates are a group of diverse individuals from all walks of life with one thing in common: a love for the game of baseball. Through our Cardboard to Leather program, we collect baseball equipment that would otherwise be discarded and send it to countries where there is a real love for the game but lack of equipment to play it. Through our Oriole Advocates Challenger Baseball (OACB) program, we provide an opportunity for children with mental or physical challenges to enjoy the experiences that baseball provides. OACB was created in 2010 in conjunction with the Baltimore Orioles Community reach program and holds a variety of events for Challenger athletes from Maryland, Pennsylvania and Virginia. In 2014, over 650 Challenger athletes participated in one or more of these events. See our OACB page for more information. The Orioles Hall of Fame was conceived in 1977 by the Oriole Advocates with the encouragement and cooperation of the Orioles, with Brooks and Frank Robinson as the inaugural members. Each year, the Oriole Advocates Hall of Fame Committee oversees the process of creating ballots containing the leading candidates for election to the Hall of Fame. Ballots are mailed to members of the Oriole Advocates, prominent media members, members of the Oriole Front Office and current Hall of Fame members who vote to determine new inductees. ﻿To honor those elected to the Hall of Fame, each year the Oriole Advocates present the Orioles Hall of Fame Luncheon. In 2014, the Luncheon was an important part of the celebration of the 60th Anniversary of the Orioles and over 20 members of the Hall of Fame attended the event. We are active throughout the year, but our busiest time, of course, is during the baseball season when we carry out our most visible activity -- we are the primary representatives for the Baltimore Orioles in distributing the various giveaways throughout the season. So, if you see us at the ballpark, make sure to say "Hi"! But....it's not all work! 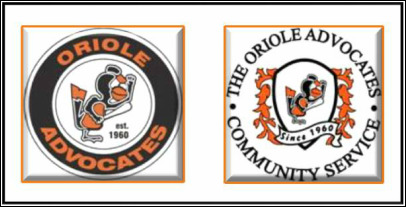 The Advocates also participate in social activities, like bus trips to the Oriole's minor league teams around the state and weekend trips to cities like New York and Chicago to watch the Oriole's take on their rivals. 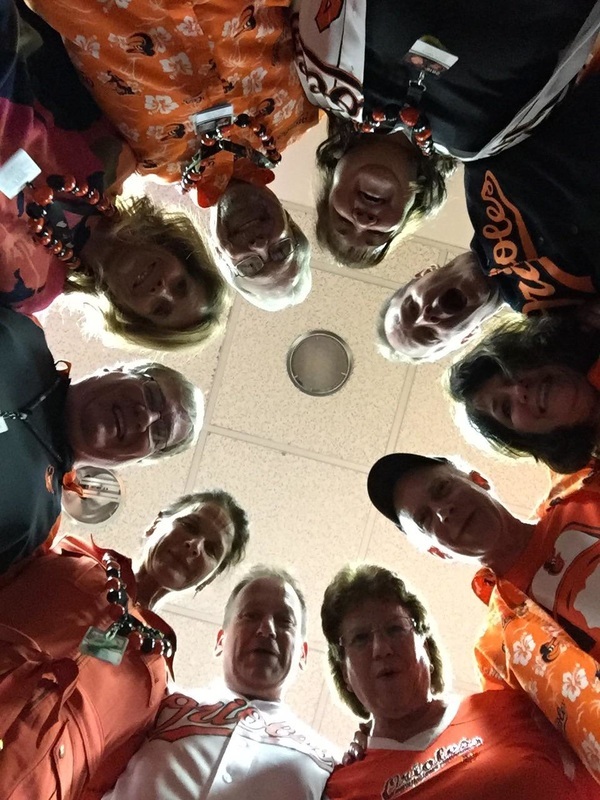 The annual Oriole Advocates Banquet, held in November, is the culmination of the season's activities. The Advocates and their families also enjoy a Holiday Season party given by the Baltimore Orioles as a way to thank the Advocates for our efforts throughout the year. We hope this site will be helpful in letting you know a little about our history, the events we plan and, in general, what it is the Oriole Advocates do as an organization. Please click any of the links on the left menu to find out more about our great organization!